Filing of returns and claiming of refund is going to be a completely online process under GST. 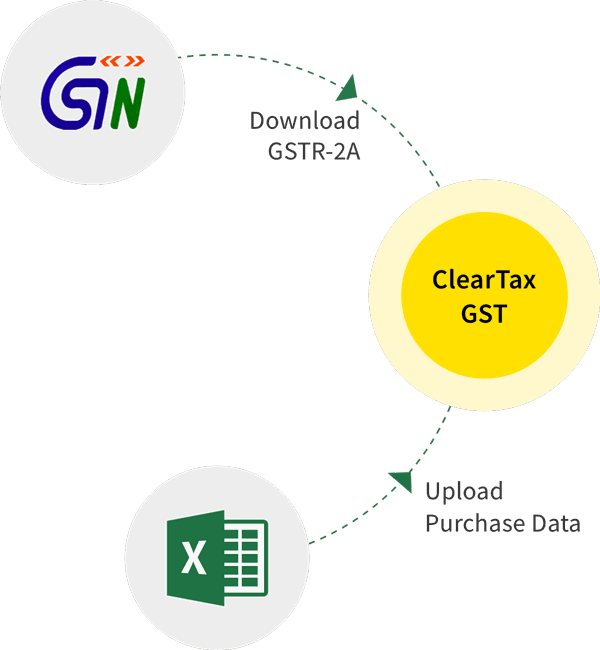 We will cover the form to be filed for claiming of refund, acknowledgment, and examination under GST. any other person or class of persons as may be specified in this behalf by the Indian Government. Refund for the balance available in the electronic cash ledger may also be made through Form GSTR-3, Form GSTR-4, Form GSTR-7 as applicable. In the case of goods being exported, the refund claim can only be filed after the export manifest or export report is provided to the proper officer by the person in charge of conveyance of goods. In the case of the goods being supplied to special economic zone(SEZ) or a SEZ developer then the refund application shall be filed by the supplier of goods after the goods are admitted in full in the SEZ for authorized operations. Authorized operations are endorsed by the specified officer of the SEZ. An applicant is entitled to refund of the amount available after adjusting the tax payable from the advance tax deposited by him at the time of registration. 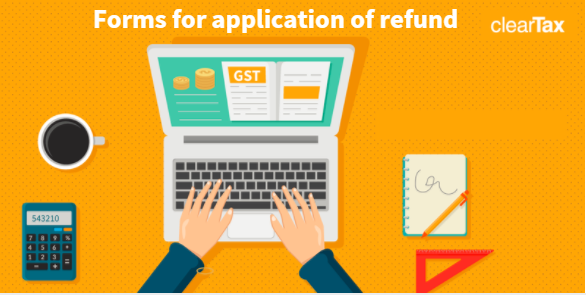 The applicant shall claim such refund at the time of filling the last return required to be furnished by him or after the last return is filed. For example: Amar deposited advance tax of Rs 1,00,000 at the time of registration. The total tax liability of Amar was for Rs 90,000. Amar is required to file the last return by 31 December 2018. Amar can claim the refund of Rs 10,000 while filing the return on 31 December 2018 or after the said return is filed. Exception: In cases where the supply of goods/services is regarded as “Deemed Export” then the refund for the tax paid on such goods/services has to be claimed by the recipient of such goods/services. (f) The applicant claiming the refund for the ITC accumulated on the account of rate of tax being higher on inputs than the output(other than 0 rated supplies) has to submit the number and date of invoices issued and received during the tax period. (h) The applicant filing for a claim of refund of less than Rs 2 lakhs has to submit a declaration stating that the incidence of the tax, interest is not passed on to any other person. (i) A certificate from a chartered accountant or cost accountant has to be attached to annex 2 of Form GST RFD-01 if the claim of refund from the applicant is for more than Rs 2 lakh. An applicant claiming the refund for the input tax credit shall debit the electronic credit ledger in the amount of refund so claimed. An applicant who is claiming the refund of the balance in the electronic cash ledger will be made available an acknowledgment in Form GST RFD-02 electronically indicating the date of claim of refund. The proper officer has to review and scrutinize the refund application within 15 days of the date of claiming the refund. Once the application has been reviewed by the proper officer, he will share the discrepancies made by the applicant in the form GST RFD-03 through the common portal electronically. The applicant will need to file a refund application after making the rectifications for the deficiencies shared by the proper officer. There are other forms for the refund which we would cover in the upcoming article. The process of refund under GST is going to be hassle-free as it is a completely electronic process.